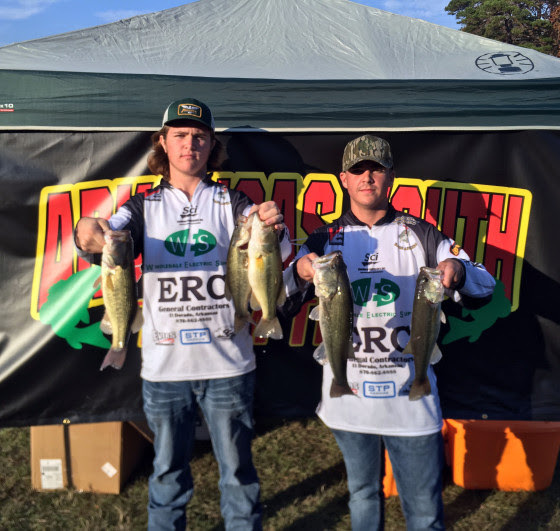 The Smackover High School Fishing Team was well represented at the recent Arkansas Youth Fishing Association tournament held on Lake Millwood this weekend. In a very competitive field, all of our angler teams caught their limit of 5 bass. Team 4--Trenton Bailey/Joel Brewer, 7 lb 13 oz. A big thank you to boat captains: Stacey Muckelrath, JD Martin, Dwayne Warren, and John Bailey. The next tournament is an AYFA tournament on Lake Greeson in February.